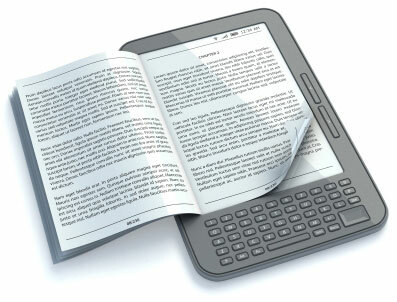 Publish new titles as e-books or re-publish out-of-print titles and sell them on Amazon.com, Barnes and Noble.com and Apple’s iBookstore. "I have worked with Kevin Rhoades on three book projects in which I was involved as the editor or author. He is skilled, hardworking, charges reasonable prices, and in all senses a pleasure to work with. Perhaps the highest praise I can offer is to say that I intend to turn to him for another book project I currently have under way." "Kevin Rhoades did an exceptional job in the design and layout of my book, 'Neil Cost - Magic with Wood,' which was published by Long Cane Press. He did quality work, was easy to work with, excellent communications, fair and honest. I highly recommend Kevin for your next project." "I recommend Kevin Rhoades as a person of professional achievement, high integrity and solid reliability with strong managerial experience and specialized skills. I have had the opportunity to observe his style and skill. His abilities at planning and organization are exemplary. He has a knack for knowing when and how to delegate while keeping track of developments and staying focused on the big-picture items. I recommend Kevin Rhoades without reservation." "Kevin Rhoades did a great job of shepherding my book "Billy Barnstorm" to print – well beyond what I've experienced with my seven other published books. And he has continued to promote the book, has converted it to e-book format and in all ways has provided wonderful expertise and service. Highly recommended." Should an e-book have an ISBN?